Tuckpointing & When Do I Need It? We like to think of life in the Florida panhandle and the surrounding communities in Alabama, Mississippi, and Louisiana as the good life. In our efforts to ensure our customers feel the same way, we work hard to keep the homes in the area beautiful, clean, and problem-free, which is why we offer expert tuckpointing services. You know those cracks in the mortar that sits between the brick of your fireplace or chimney? How about the holes, discoloration, gaps, and receding joints? This type of masonry damage can occur as a result of weather, age, house-settling, and other factors, but the real concern is not just the awful look of deteriorating masonry, but the danger of it. Mortar joints are designed to be packed tight and to strengthen and reinforce the fireplace and chimney by protecting the brick from all the pressure and weight. When damage occurs to the joints, the entire structure is weakened and unnecessary pressure is placed on the brickwork. Not only that, but receding and damaged mortar joints are susceptible to water intrusion and leaks, which can cause extensive damage to your chimney and home. If you notice this type of damage on your brick fireplace or chimney, ask Sootaway about tuckpointing. Tuckpointing is sometimes called repointing or simply, pointing, and what it describes is the very delicate practice of grinding out old, damaged mortar joints and tucking or packing fresh mortar into these joints. When we’re called to perform tuckpointing work for our neighbors, we assess the age of the house and the location to determine what mortar was likely used originally. Next, we match the new and original mortar in composition and color to ensure a structurally sound and aesthetically pleasing end result. 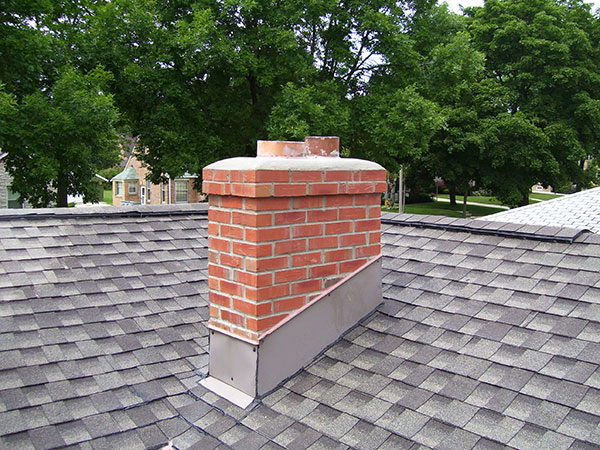 Once the damaged mortar joints are carefully ground out, we use our expert masonry tools and techniques to pack fresh joints and leave your fireplace or chimney stronger and more beautiful than it was when we arrived. For Quality Tuckpointing, Ask The Sootaway ! Do you think your chimney or fireplace could benefit from tuckpointing? Call on the Sootmaster at 1-800-724-5021 or request an appointment through our website. We’re confident in our ability to restore and repair masonry of all ages and we’re committed to providing quality work that leaves you smiling. Give us a call today!